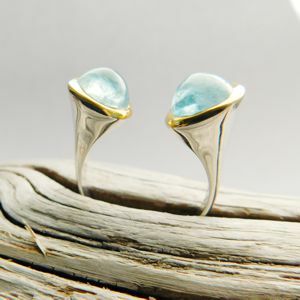 I wanted to create an adjustable ring and found these 2 beautiful Aquamarines. 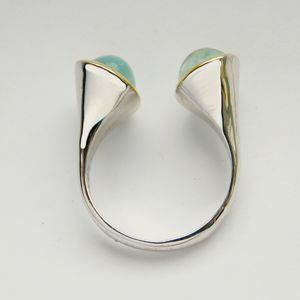 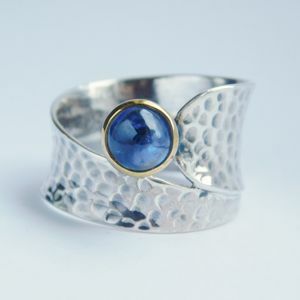 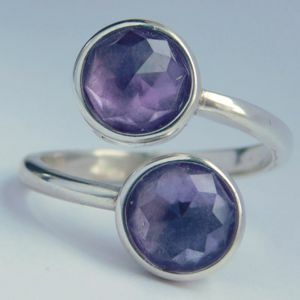 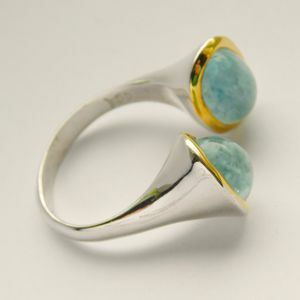 The result is a Sterling Silver ring carefully crafted around the oval-shaped Aquas. 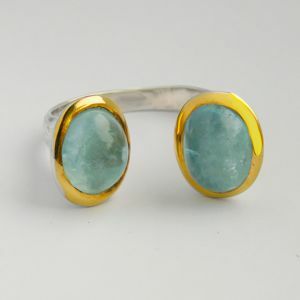 To emphasize the stunning blue I gold plated the silver bezel. 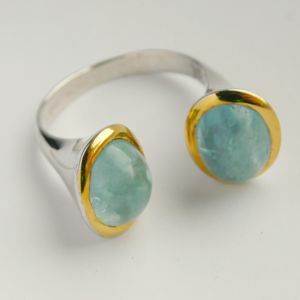 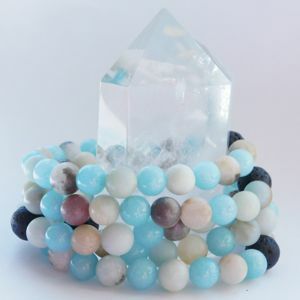 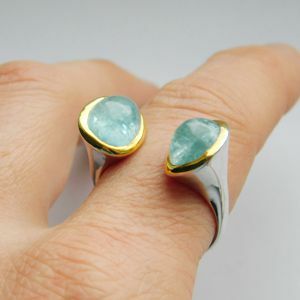 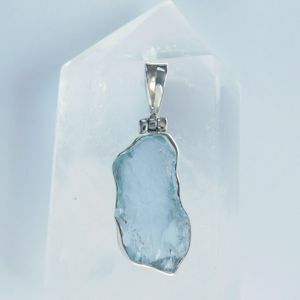 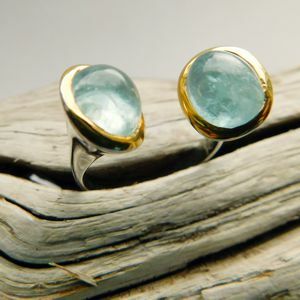 The Aquamarine cabochons measure 10 x 8 mm and the ring size US 9, but easy adjustable.